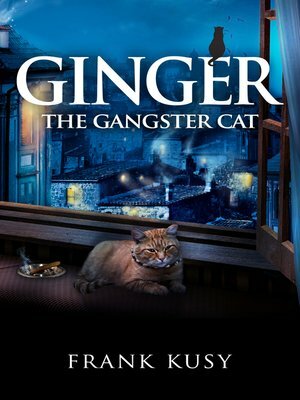 Gold Medal Winner of the Wishing Shelf Awards 2015, Ginger the Gangster Cat and his endearing sidekick Sparky have enchanted children (and cat lovers) of all ages. Whether the two friends are setting forth on an exciting adventure to Spain, engaging in comic capers with Ben the dog, or simply relaxing in their hometown in Surrey, their stories are full of charm and whimsy. This latest edition of Frank Kusy's popular novel features beautiful art from Maggie Raynor, making it a must-have for every child's library. "Perfect to read to children of any age and then sneak away and read it yourself." "My kids (6 and 8) were literally roaring with laughter as I read this to them at bed time." "Ginger and his beloved little friend, Sparky, are two of the most endearing cat characters I've ever come across - and I've been enjoying animal stories for over fifty years, so that's saying a lot. Although this posts as a story for children, I found it to be an exceptional book for any age. Buy it, read it, you'll love it!"